Stampin' Up! is offering FREE shipping on Cyber Monday! With so many online shopping deals happening, we want our offers to be as competitive as possible. 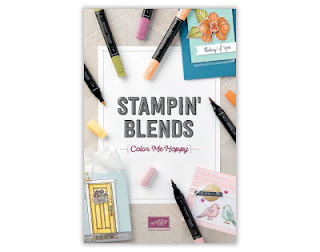 On November 27, shipping is FREE for all Stampin' Up! orders. 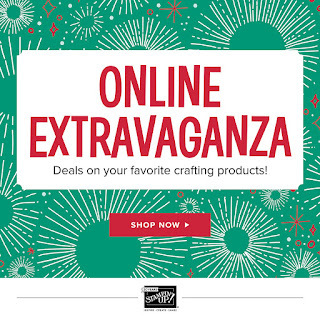 Because Online Extravaganza deals include a limited variety of products, we’ve decided to end Online Extravaganza a day early and give you free shipping for an entire day on every Stampin’ Up! order placed. With free shipping you get a great deal on any product! Free shipping runs from November 27 12:00 AM to November 27 11:59 PM MT. Click here to see the list! and Shop Here! The best thing since sliced bread! Better than the Misti and the Stamp-A-Ma-Jig. It will be available for pre-order on a limited basis online December 5 with delivery March 19 and again on January 15 with delivery April 15. The first pre-order sold out in 10 minutes so if you really want one before the item goes live with the 2018 Annual Catalog June 1st check the Stampin' Up website often. Retail Price–$49.00 Contact me if you have questions! Click on the picture below for a quick video.